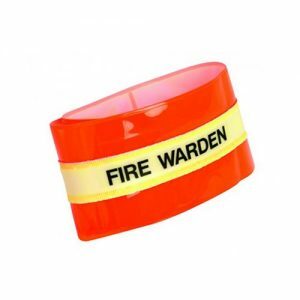 Adhesive sticker to clearly identify a first aider on helmet or other headwear necessary for site safety. This First Aid Helmet Sticker is to clearly identify a first aider by sticking to a helmet or other head wear. 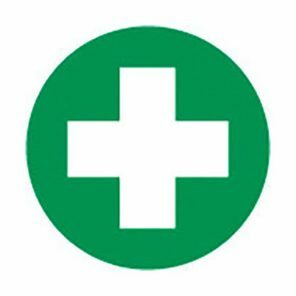 Furthermore, the sticker uses a white cross design on a green background to ensure high visibility. The First Aid Helmet Sticker has strong adhesive properties. This therefore ensures a robust fit to all types of helmets. 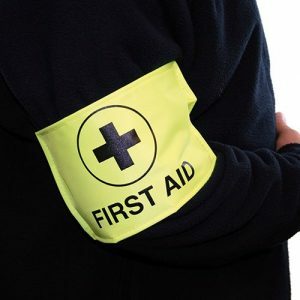 We also supply a First Aider Badge to pin onto clothing. 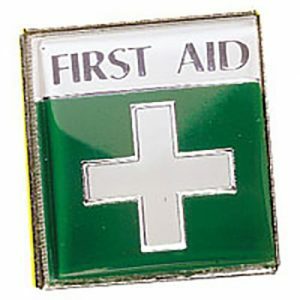 This first aid enamel badge is to be worn so that the first aider in your workplace can be easily identified.